Before the development of technology and digital processes, it may be hard to execute these items accordingly and properly. However, there are already a lot of tools nowadays that you can use to present and advertise your business in the best way possible. One of which is social media. 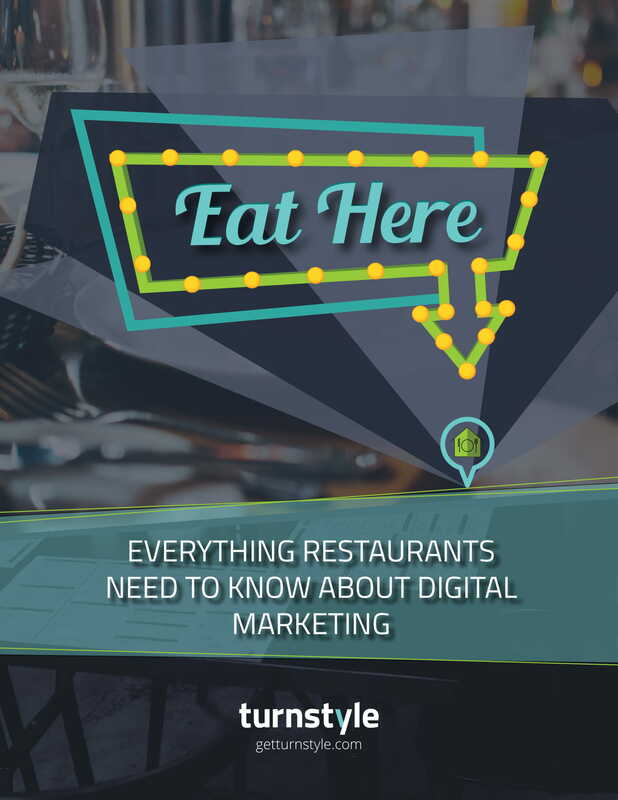 A restaurant marketing plan that is focused in the usage of social media platforms in delivering your message is a great document that can help you connect with your audience even in the comforts of their own homes. With this, you can easily get the attention of the people whom you think are interested in your offers and those that can practice their purchasing power in your restaurant. 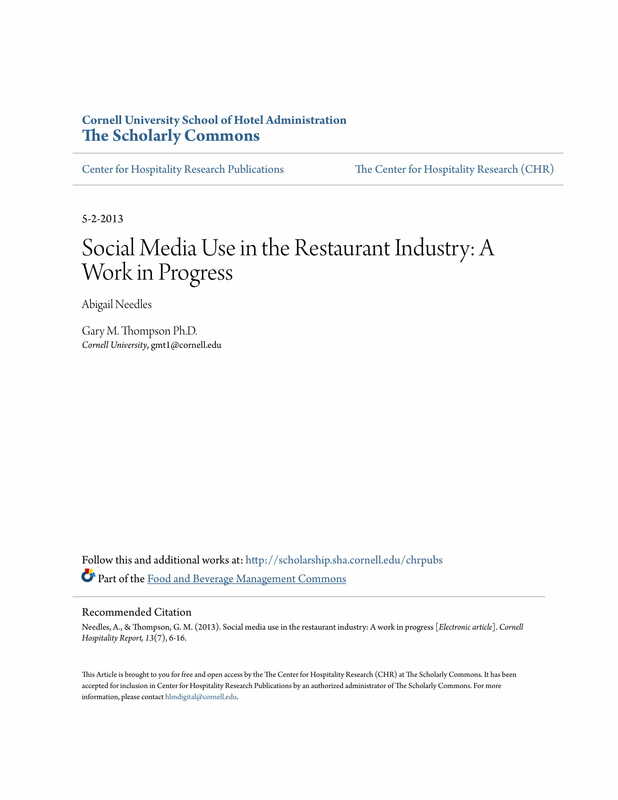 Try to draft a restaurant social media marketing proposal that can be used as a reference when making the marketing plan of your restaurant business. Use the downloadable examples available in this post if you need to be well-guided when formatting the document and listing down all the important key points of discussion that you want to present. 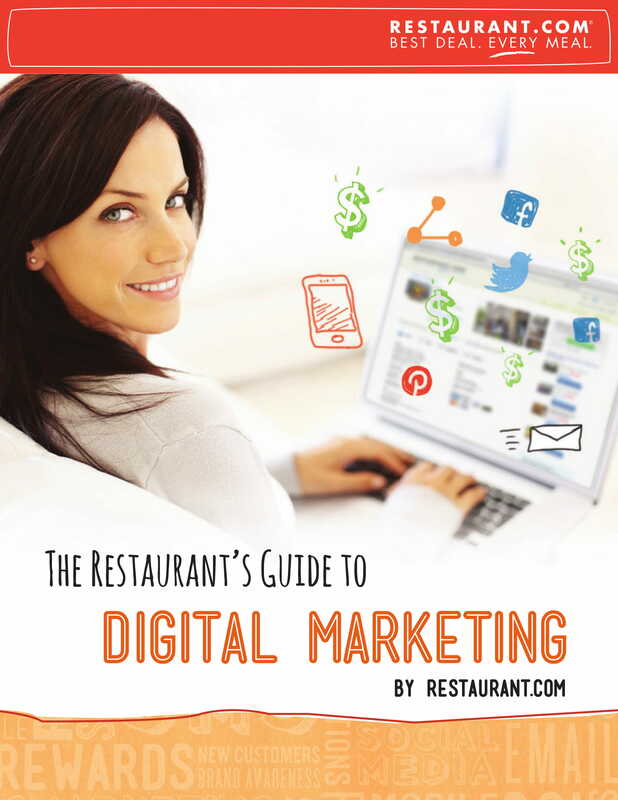 Why Use a Restaurant Social Media Marketing Proposal? If you will be familiar with hotel marketing plan tips and examples, you can have higher chances of giving positive impacts to a hotel business when it comes to dealing with operational issues, advertising and marketing concerns, and the like. This is the same instance that you will be faced with if you plan to develop your restaurant social media marketing proposal. 1. A restaurant social media marketing proposal can help you establish all the information that has the potential to be included in your final restaurant social media marketing plan. 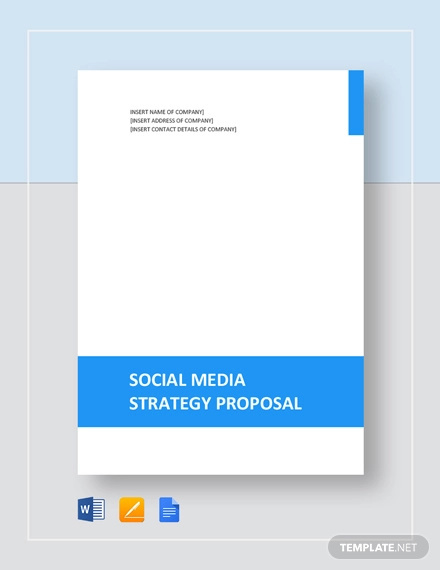 Being able to come up with a proposal can help you narrow down all the social media activities and platforms that you will use. 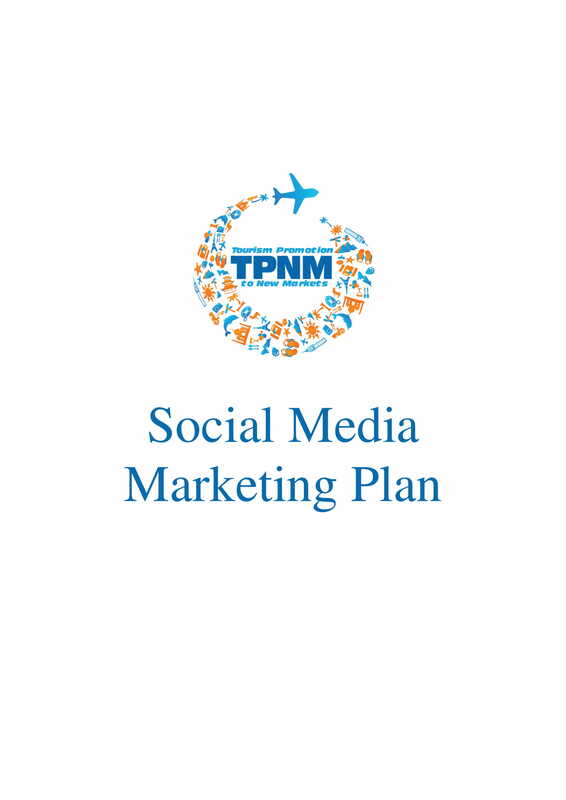 With this, you can thoroughly evaluate the potential benefits that particular social media proposals key points can provide you with based on your initial listing. 2. A restaurant social media marketing proposal can give you an idea on how you can go with the activity flow and with the trends within the marketplace without losing your identity as a business. Right now, social media has become a vital part in the operations not only of restaurants but also of other businesses from various industries. You may also like business proposal letter examples. Hence, businesses develop their online presence as it will allow them to be visible and relevant. If you plan to create your own social media pages, you have to make sure that you are well-prepared as half-baked actions can only give you mediocre results. 3. 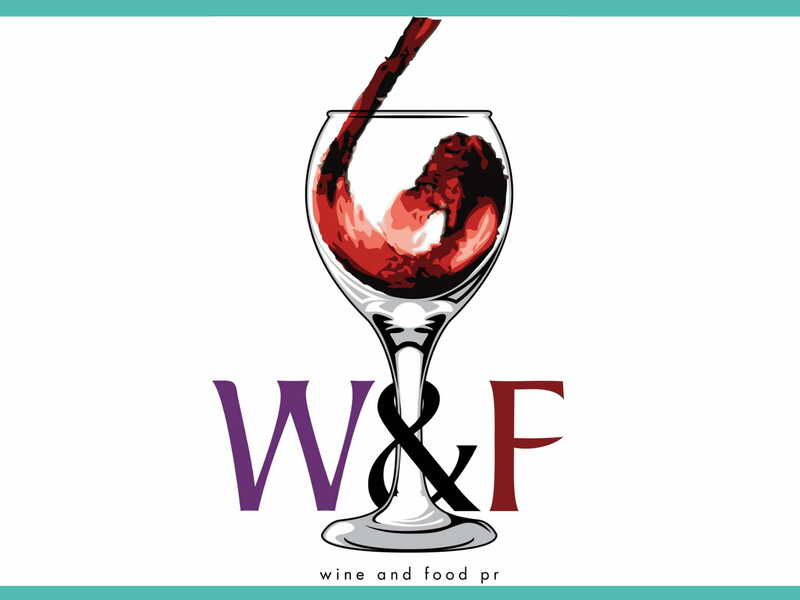 A restaurant social media marketing proposal can develop a consistent branding, image, and voice for your business. As a restaurant, you need to find the characteristic/s that make you stand out. If you are already aware of this, it will be easier for you to be known within the marketplace where your business is located. 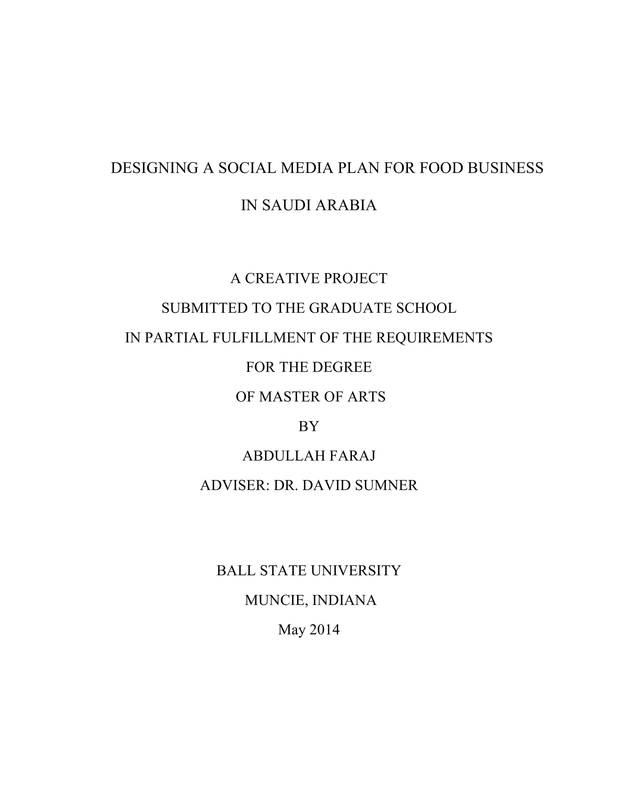 You may also see research proposal examples. Through the usage of an effective restaurant social media marketing proposal, you can incorporate your vision and your identity to the social media marketing plan that you would like to use for your future operations. 4. A restaurant social media marketing proposal can provide you with a set of options that you can use as a guide when executing social media activities. This document can showcase a selection of items with regards the ways on how you can answer online question and inquiries, how you can respond to online reviews and forums, how you can share content that are generated by your clients and customers, and how you can make the most out of your online presence. 5. A restaurant social media marketing proposal can discuss the ways on how engagement with target customers and leads can be established. If you plan to create a restaurant social media marketing proposal, you have to make sure that you will outline the steps that can bridge the gap between the current social media marketing situation that the business is immersed in and the social media marketing condition that you would like to realize. You may also check out short proposal examples. A strong online presence can always benefit any restaurant as it helps boost their visibility. The wider audience reach a restaurant has, the higher possibility of converting leads to actual customers and sales there will be. 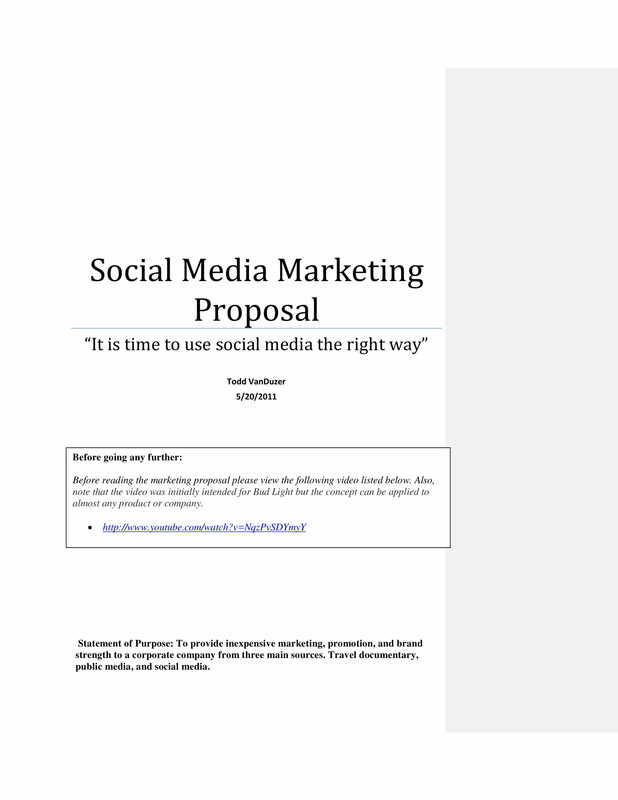 However, not all restaurant social media marketing proposals, or even any other kinds of free proposal examples, work the same. The quality standards that you adhere and incorporate to the document’s planning and development can actually affect the results that you can get from its usage. 1. List down all the platforms that you will use for your marketing activities. You need to select platforms that you can maintain and sustain as consistent online activities like posting and customer engagement can help you ensure the efficiency of your social media marketing efforts. You may also see business proposal examples. With this, it is recommended for you to first conduct a survey or relevant studies and researches that can help you identify the social media platforms that your target audience commonly uses. 2. 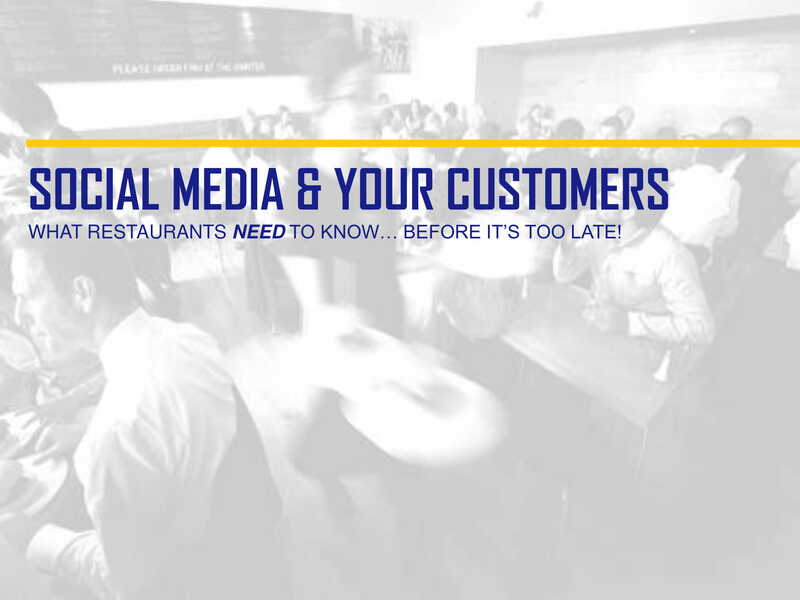 A timeline is essential to be developed and presented within a restaurant social media marketing proposal. The timeliness of all your posts and other activities should be planned accordingly so that you can yield the maximum results out of all your efforts when using social media as one of your marketing tools. 3. Consider the audience that you would like to engage with. Your posts must be appropriate to the age bracket of your potential customers as well as lifestyle that they have as individuals. Being able to present a marketing message through social media that is aligned and relevant with their needs and activities can provide more successes for your business. You may also like project proposal examples. 4. Know the message that you propose to be disseminated with the help of social media platforms. When presenting this in your proposal, you must assure that the message that you have prepared can help the brand of the business to standout and the offers of the business to be at their most appealing. You may also check out investment proposal examples. 5. Have a list of your competition and their social media activities, the level of successes that they’ve had online through engagement and follower measures, and the trends that they are able to incorporate in their social media activities. In this manner, you can evaluate the things that can also work for your business and those that you need to improve so that it can fit the quality standards that you adhere to all your efforts. You might be interested in budget proposal examples. 6. Develop social media marketing concepts that can set your business apart from its competition. Consider previous concerns and current external factors that can affect the effectiveness of your restaurant social media marketing plan. 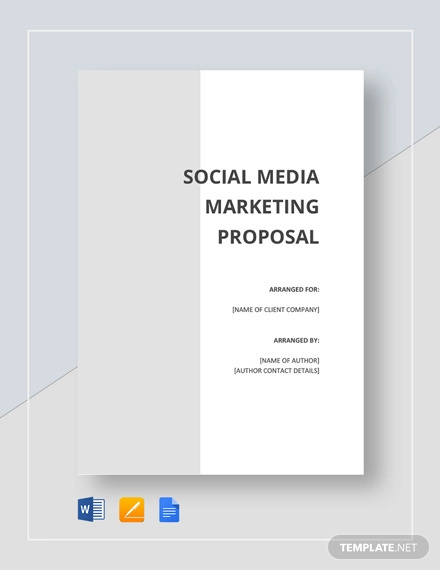 Your proposal must be the first document to discuss all the considerations that should be done to eliminate lapses, loopholes, and errors when finalizing the marketing plan and social media usage of the business. 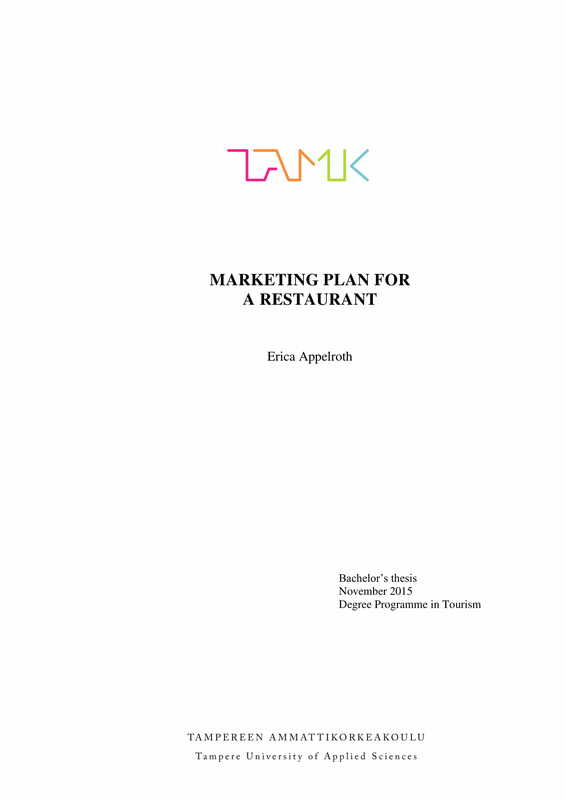 Whether it is for a mobile catering business plan or a start-up restaurant marketing plan in which your social media marketing proposal is for, it is important for you to make sure that the document that you will create is based on the developmental and improvement needs of the business and the actual specifications that the management would like to see and be aware of. 1. Ensure that the simple proposal that you will develop considers your current customers and your potential or target market. You have to create a document that can strengthen your desire and aspiration to retain the loyalty of your existing audience while attracting new customers or leads. 2. 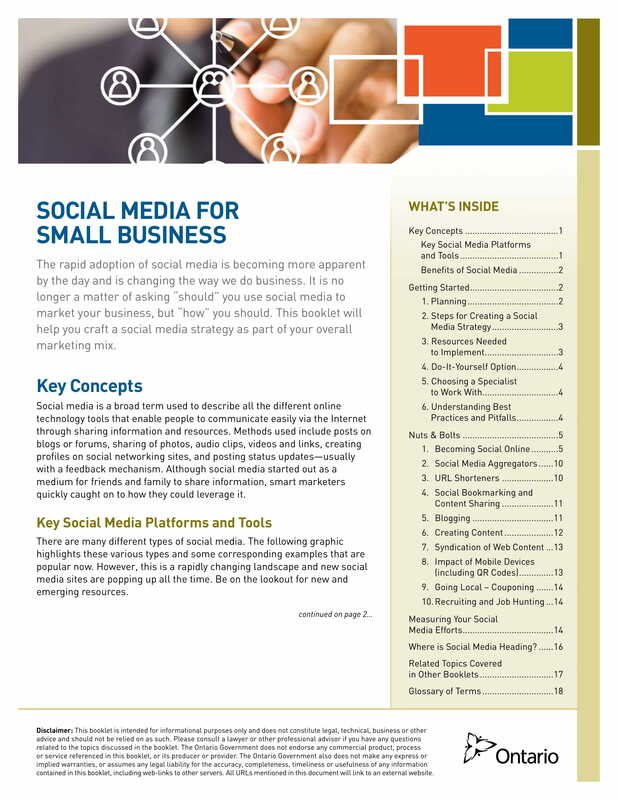 Know how you will use social media as a business tool. Do you want to just use it so that there will be new touch points that will allow you to connect with your audience? Or do you want to have social media pages that can also sell your restaurant products and/or services online? You should be specific when identifying the answer for these questions as it can help you build a quality restaurant social media marketing proposal. You may also see business proposal cover letter examples. 3. Identify the social media platform that works best for your business. It is not required for your business to create profiles and accounts in all social media platforms. Again, select the platforms that are suitable for your business and its operations. More so, ensure that your business has enough manpower to maintain the continuous usage of these social media accounts. You may also like conference proposal examples. 1. Within the processes of creating a restaurant social medial marketing proposal, you have to remember that marketing your restaurant is not just about presenting an attractive menu. It requires you to develop a credible and reliable brand, a genuine image, and an effective operational approach that can meet the expectations of your target customers. 2. 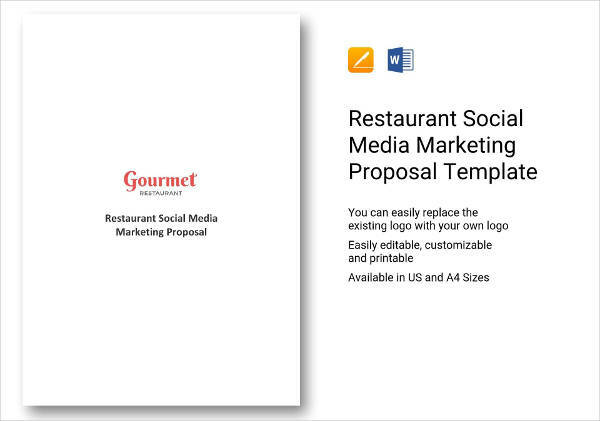 Use templates when formatting your restaurant social media marketing proposal. 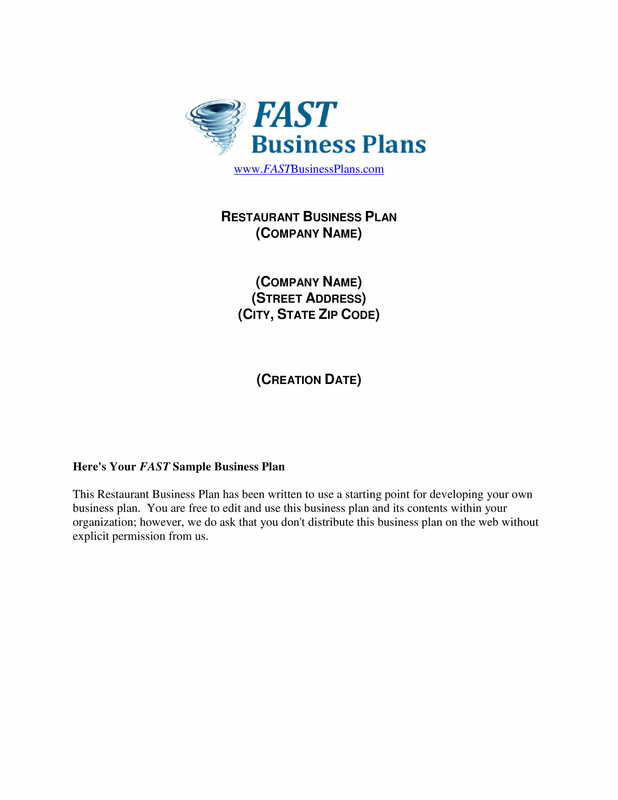 This can also be applicable in the creation of a restaurant operational plan, small catering business plan, food truck marketing plan, and other kinds of planning and organizational documents used in the restaurant, food, and service industry. Doing this can help you have a well-arranged layout that can present your proposal content accordingly. 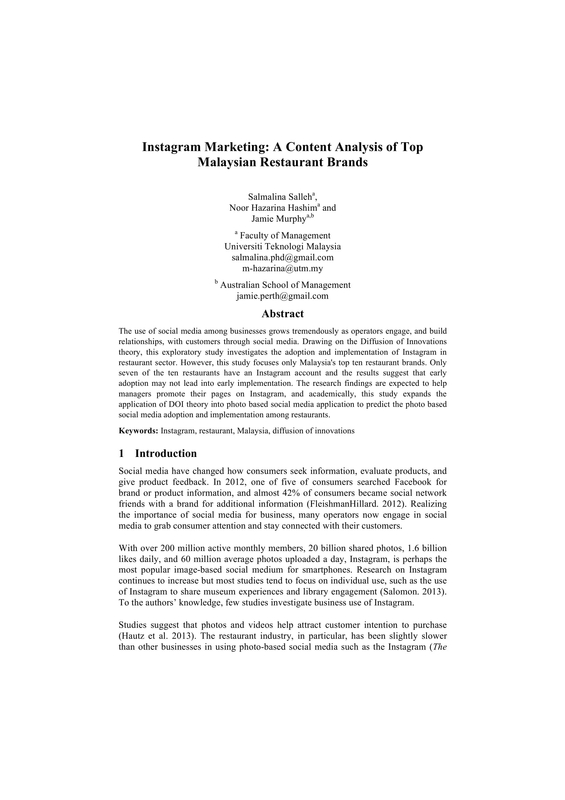 Once you have already downloaded the examples in this post and have finished browsing through our discussion of tips and suggestions, we hope that you already have the enough tools and knowledge areas that you can use to start making a comprehensive and well-formulated restaurant social media marketing proposal of your own. You may also see security proposal examples. Try to create one now and see how it can change the dynamics of the development of the social media marketing and business plan for your restaurant.